For the last few days, EW's Comic-Con coverage has been knocking it out of the park, and their latest reveal is the biggest so far some would say. 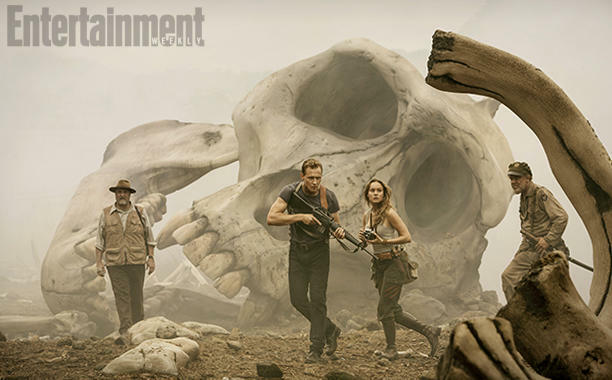 Our first proper image from Kong: Skull Island is here, bringing us the first look at Tom Huddleston, Brie Larson, John Goodman, and one gigantic monkey skull. Kong: Skull Island comes out way March 10th 2017.